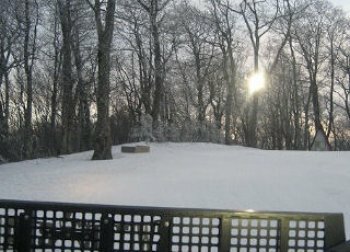 Many people remember when Hawksnest NC, a small resort located atop a mountain town called Seven Devils NC, was a top North Carolina Ski Resort, and recall the fantastic slopes and runs that provided something for everyone. Today, Hawksnest is the premier park to go NC Snow Tubing and the first place to offer Snow Tubing in North Carolina. What began as an activity that the ski resort offered in addition to skiing and snowboarding has now become the main attraction, as resort’s owners decided to put all of their efforts into creating the largest, most dynamic and most exciting park to offer Snow Tubing in North Carolina. Now, Hawksnest NC has the largest snow tubing operation on the East Coast. Hawksnest has always had the best vertical drop, only now it is one down which you tube instead of ski. Hawksnest has four different NC Snow Tubing areas and offers twenty lanes of Snow Tubing in North Carolina fun! Runs are anywhere from 400 to 1000 feet long! Two moving carpets transport you back to the top of the NC Snow Tubing runs. This is fantastic fun for the whole family. Be sure to bring along your camera as Hawksnest provides numerous observation areas. Prices vary by day and time, and Hawksnest offers discounts to those purchasing multiple sessions or those that have group ticket orders. Interested in going NC Snow Tubing while you visit the NC Ski Resorts for a winter getaway? Stay near Hawksnest and the NC Ski Resorts and you’ll be just a short drive away from the fun! 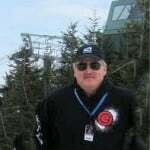 Skisoutheast.com is the place to visit to find news, information, weather reports and trip reports on all of the ski resorts in the Southeast and Mid-Atlantic states in the United States. Click to find out about the North Carolina Ski Resorts and the top resorts in Virginia, West Virginia, Maryland and even Alabama! We update the site each day with news, photos, videos and so much more. Browse to find more or to start planning your winter ski trip today!